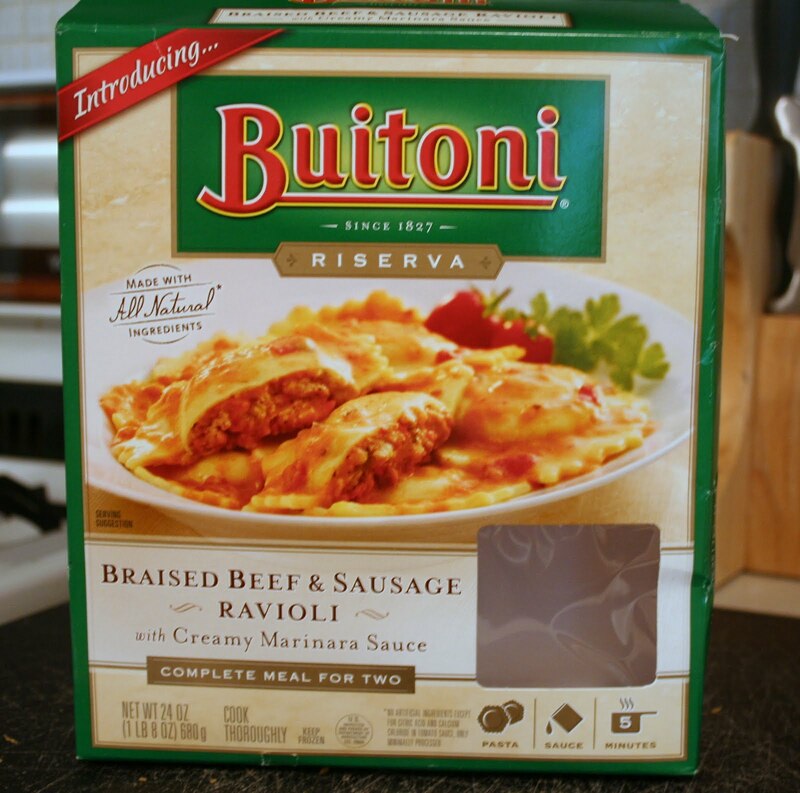 Not too long ago I received an email from Foodbuzz and Buitoni to receive a coupon to try the new Buitoni Frozen Meals for Two as part of the Tastemaker Program. Admittedly, I occasionally eat convenience foods. While I would prefer to cook everything myself, that's just not possible - people get busy and don't always have time to make home-cooked meals. When I received the email I couldn't pass up the opportunity to try this out. I knew that I had a really busy few weeks ahead of me and that at the end of them I would have a few days where I just needed to decompress and I'd want something a.) not ordered in, b.) quick and c.) convenient. Once I got the coupon in the mail I added a Buitoni meal to my grocery list so I wouldn't forget, and threw it on the menu plan for the week I knew I'd want to try it out. I chose the Braised Beef and Sausage Ravioli with a Creamy Marinara Sauce thinking it sounded the best for both my husband and I, though all of the meals without seafood sounded fantastic (I've mentioned before - I don't like seafood, at all!) I certainly was not disappointed with this dinner. Not only was it insanely easy, it didn't taste like it was a frozen meal and it was filling. There were just a few steps to prepare the meal - bring a large pot of water to a boil WITH the bag of sauce in the water, add pasta and simmer, remove sauce pouch, drain pasta, return to pot, toss with sauce and serve. It's not pasta to me unless it's topped with a bit of Parmesan so I added that as well. Overall, this meal was great for what it is. It's great to have in the freezer for when you want or need something convenient, and it's perfect for someone who doesn't know how to cook (or like to cook), but still wants a great meal at home. It would be particularly great for someone looking to impress without going to extreme lengths. In my opinion, the sauce was a little thin, but not enough so to ensure I'll never make this again. 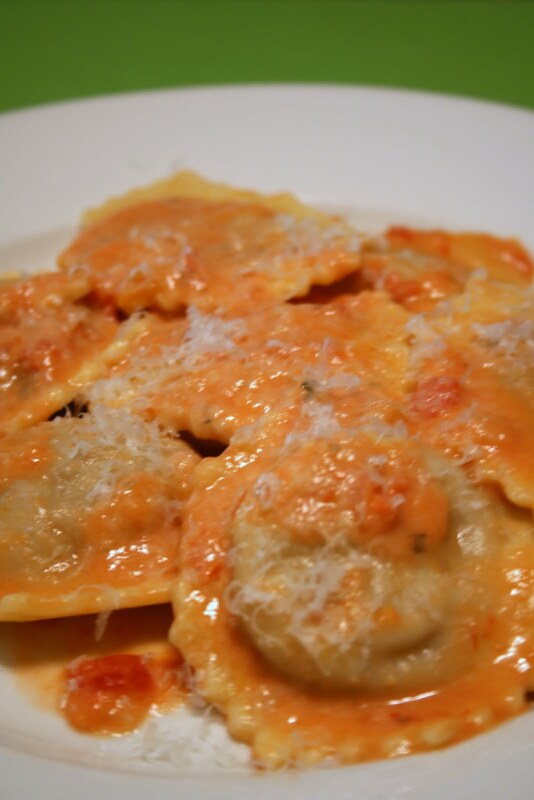 In fact, I loved the pasta itself and noticed in the refrigerated section at my grocery store that they sell the pasta on it's own so I may pick some up at some point to serve with my own sauce!